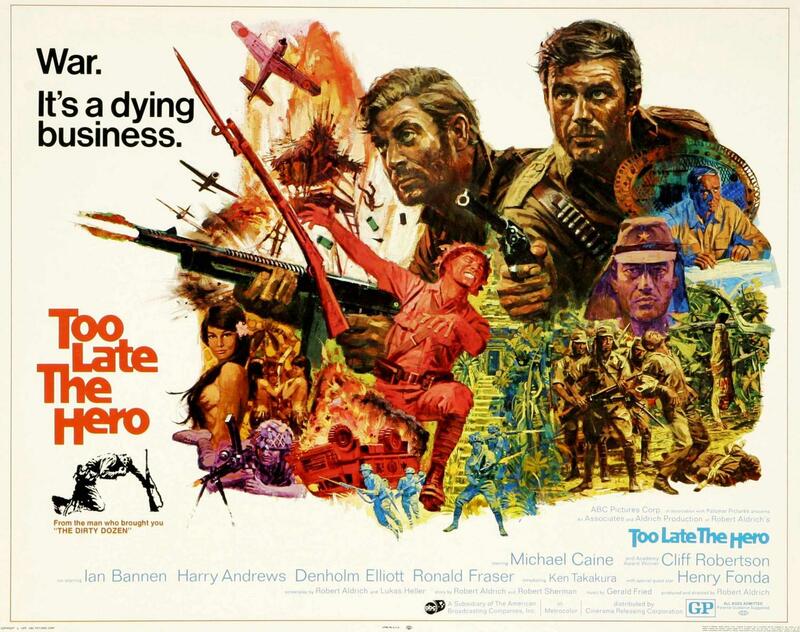 TOO LATE, THE HERO again sees Cliff Robertson battling the Emperor of Japan, in the same latitude as his 1959 mission-misfire Battle Of The Coral Sea, this time in the New Hebrides (think Vanuatu, for you Survivor fans), way up in budget, and with assistance from Michael Caine. No planter dames this mission, and Caine’s not much help either, as he and his sour Brit commandos resent the Yank, their incompetent leader, each other, being there, the 20th-century, you name it. Vietnam Era sensibilities infect this 1970 slog, aimlessly directed by Robert Aldrich, who was not happy with Cliff or the picture. Shot in The Philippines, some around Subic Bay, much on the stunner island of Boracay, but so little is made of the locations by Aldrich and cameraman Joseph Biroc they might have saved airfares and done it in Florida. 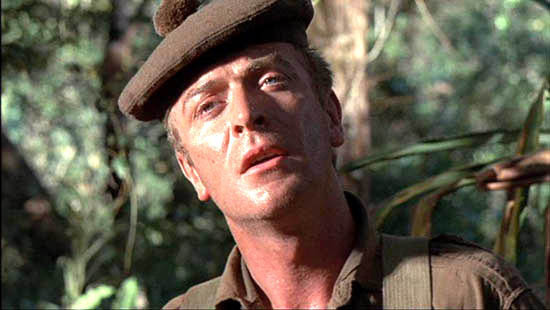 Caine said it was the worst location shoot of his career. A big money loser, making a pitiful $1,590,000 against a budget in excess of $6,250,000, it’s also a grinding, unattractive, unpleasant 144 minutes to spend with a bunch of sourball characters. Good actors back the star duo: Denholm Elliot, Ian Bannen, Ronald Fraser, Harry Andrews, Percy Herbert, Ken Takakura and a cameo from Henry Fonda, but to no avail for entertainment purposes. Story and script are a crock. Oh, and the Japanese didn’t land in the New Hebrides.